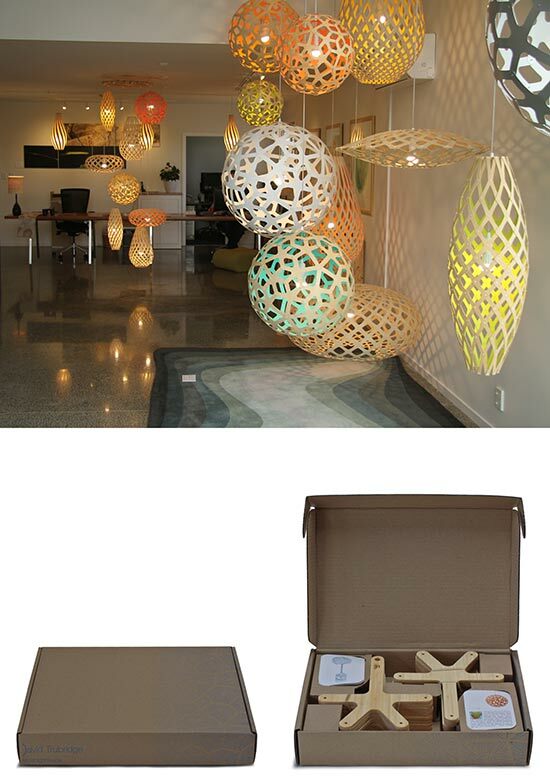 David Trubridge's showroom alongside his design studio and factory at Whakatū, Hawke's Bay, is filled with his lightshades (top), including his 'Coral' design, which is also sold as a kitset (bottom). The kitset idea came after increased export demand for Trubridge's products led him to think of ways to reduce their carbon footprint. Trubridge has come to exemplify the fresh, Pacific-based design thinking that New Zealand can offer to global markets.